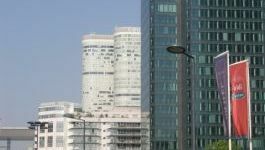 (CercleFinance.com) - In a report on the real estate sector, Invest Securities says that it confirms its recommendations, while for 2019 it prefers two real estate companies - Unibail-Rodamco-Westfield and Icade - for which it has respective target prices of 206 euros and 82 euros. The analyst who monitors the sector says that both these stocks offer satisfactory growth prospects and a high level of visibility regarding dividend growth, with them already offering a high dividend yield. The broker points out that in a global economy with a dimmer long-term outlook, the prospect of rising interest rates, which penalised its 2018 recommendations, is now less likely than a year ago.